Krispy Kreme, the international donut brand founded by Vernon Rudolph in North Carolina in 1937, has arrived in Batangas. Its 65th store in the Philippines opened on 14 August 2015 at the ground floor of the SM Lipa City Annex. The company, which continues to be based in Winston-Salem in North Carolina, now has a presence in 25 countries worldwide. In Southeast Asia, the company has stores in Thailand, Indonesia, Malaysia and Singapore. In the Philippines, the rights to Krispy Kreme are owned by the Real American Donut Company, Inc., which is owned by the Max’s Group of companies. The flagship store opened in November 2006 at the Bonifacio High Street in Taguig City. From there, the company branched out to various locations all around Metro Manila. 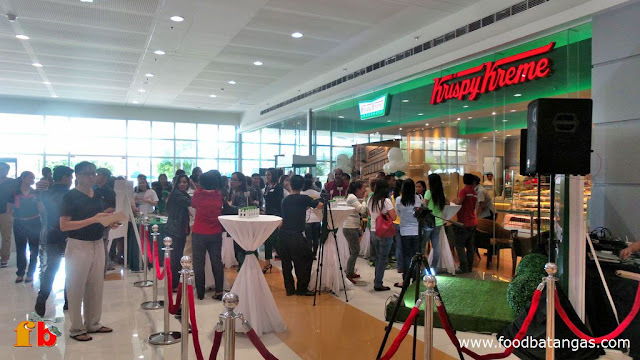 Krispy Kreme also operates stores in Pampanga, Iloilo, Cebu, Bacolod, Rizal, Cavite, Zambales and Misamis Oriental. 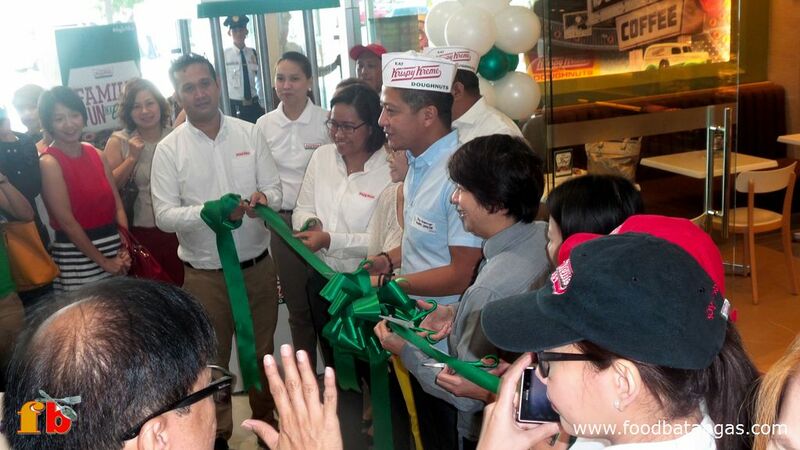 Krispy Kreme PHL CEO Sharon Fuentebella with Batangas Vice-Governor Mark Leviste. Cutting the ceremonial ribbon to officially open the Lipa store. The SM Lipa store is the first in Batangas and opened with simple ceremonies graced by Sharon Fuentebella, the CEO of Krispy Kreme in the Philippines, and Vice-Governor Mark Leviste of the Province of Batangas. Also present were guests from the local and national media, local bloggers and personalities from various sectors and industries in Lipa City and the Province of Batangas. Among the highlights of the opening ceremonies was the awarding of the Golden Tickets to those in the public who participated in the traditional overnight camp out prior to the opening of a store. Present were guests from various sectors in the city. Above, Malou Malaluan and Cathy Perez of DLSL. Awarding the Golden Tickets to the overnight camp out winners. The first in line won a Golden Ticket that entitled him to an entire year’s supply of the original glazed donut along with the company’s signature coffee. The second in line won half a year’s supply of the same, while the third in line won three month’s worth. All others up to the 100th participant were entitled to a month’s supply of the glazed donuts. 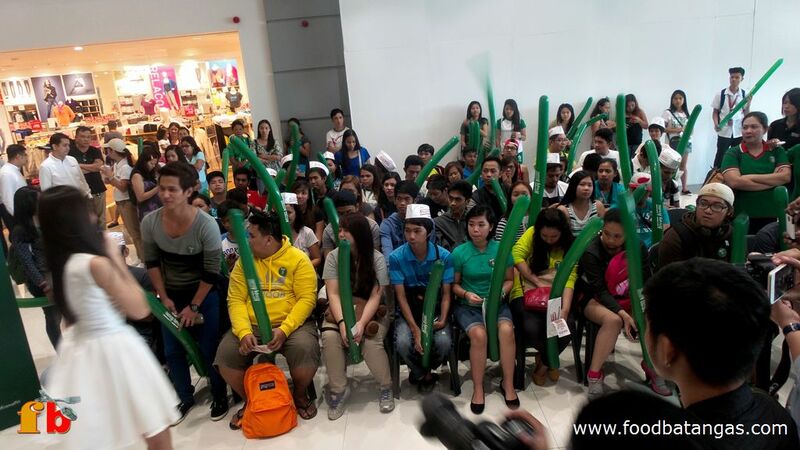 All these participants needed to do was to line up, show their Krispy Kreme mobile app and purchase a dozen donuts. Excited customers began lining up at the counter once the opening ceremonies were concluded. “Krispy Kreme is very excited to share the Joy in a Box experience to the community of Lipa. 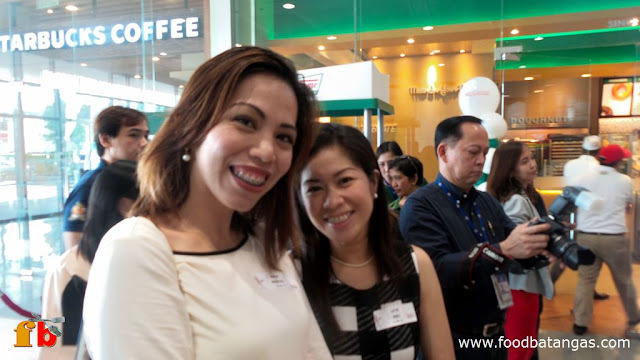 We invite them to enjoy their Joy in a Box with their friends and loved ones,” said the Marketing Manager for Krispy Kreme in the Philippines. 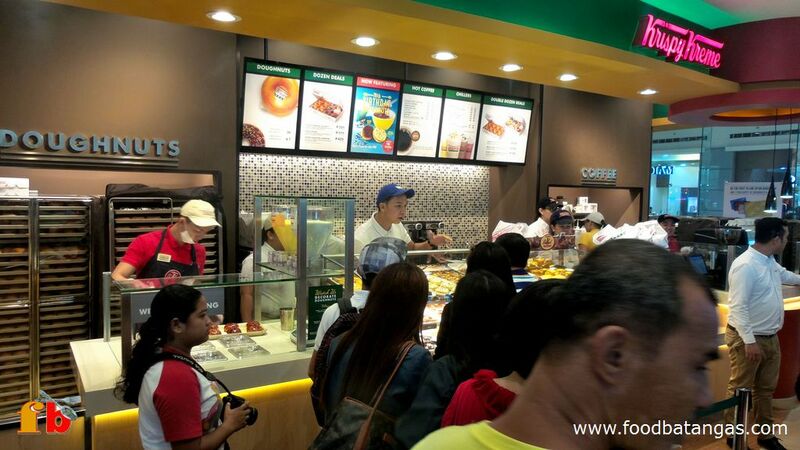 Those interested to know more may visit the Krispy Kreme (Philippines) web site. The company also has a presence on Facebook, Twitter and Instagram.